This month, Front Line Defenders and Verso launch La Lucha: The Story of Lucha Castro and Human Rights Defenders in Mexico. The first in a series of nonfiction graphic novels, La Lucha features the real life stories of women human rights defenders (WHRDs) in northern Mexico who confront lethal challenges in order to promote human rights, justice and accountability. A series of vignettes threaded together by one of the leading Mexican WHRDs, Lucha Castro, the book offers a rich depiction of the complexity and challenges in the lives of WHRDs and the profound importance of their work. The day after the book was released in bookstores, the Women Human Rights Defenders International Coalition released a statement detailing a campaign of defamation against Lucha Castro and her colleague Irma Villanueva, which puts the two women at direct risk. This is precisely the conditions this book is meant to address and counter – to provide a counter-narrative to the efforts to smear, harass and defame human rights defenders. 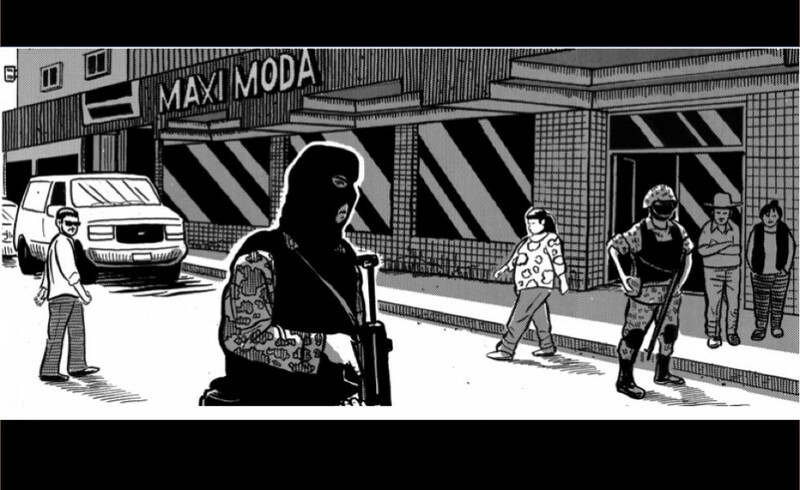 La Lucha is the first in a series of nonfiction graphic novels from Front Line Defenders documenting the stories of human rights defenders at risk around the world. Particularly in the human rights field, this project is unprecedented, seeking to provide an innovative platform with unique content that demonstrate the role of human rights defenders in promoting open and just societies. The book is published by Verso (US and UK) in English, and will soon be released in Spanish in Mexico and throughout Spain and the Americas (as well as other languages). In addition to general release, the book will be soon published in a dynamic digital format which will allow for multimedia engagement, ongoing updates to the book based on developments in the field, and the ability to engage active storytelling as a means of educating for human rights. “This book gives evidence of the risks and adversities human rights defenders across the world have to face to make the rights of their communities a reality”, explains Adam Shapiro, Head of Campaigns at Front Line Defenders and co-author of the book, “The bravery, persistence and hope women rights defenders featured in the book exhibit in their day to day lives make up these stories of real life heroes”.